Since every song on this album is available, as a different recording, with the exception of For Everyone, one of the focuses of this review will be to compare and contrast the versions, including the cases where multiple versions of a track exist on this album. Also, since this material may not be commonly found in many people`s Yes collection in any format, I will be doing a general informational rundown of the tracks as well. Much of the music here is very similar to the original version, and in fact, similar to the other version present here (in many cases). However, it is nice to have a record of these performances as they capture the psychedelic exuberance and early progressive sensibilities of this band so well. It is also interesting to note how similar the guitar styles of Peter Banks and Steve Howe really were. Not only that, but the inclusion of For Everyone makes this album a must have for any diehard Yes fan. Recorded on Top Gear with John Peel on January 12th, 1969, this version really differs little from the rendition that is present on the Yesyears box set. However, for those who don`t have the box set, the inclusion here makes another nice reason to have this album. This song is a wonderfully psychedelic/progressive take on this piece from the musical West Side Story, and contains some fine percussion and guitar work. 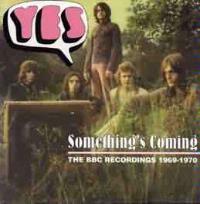 Something`s Coming is an excellent example of what early Yes was all about. Breaking from the original version (found on the Time and a Word album), this number begins with a nicely distorted instrumental intro which gives way to a rather bluesy sort of slow groove (featuring some very tasty organ work), before breaking into a delightfully percussive instrumental section. This section gives way to an all out progressive/jazz oriented jam session before returning to the main movement of the song. 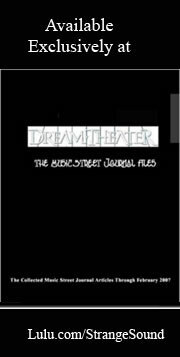 A short reprise of this instrumental section serves as the conclusion to this piece. This track was recorded on Top Gear with John Peel on January 12th, 1969. The central differences between the original version and the versions included here are the absence of the string section, and the fact that neither of these versions are as heavily produced as the Time and A Word rendition. Another track which was recorded on January 12th, 1969 on Top Gear with John Peel, this one starts in an almost folk-rock sort of mode, but features a nice keyboard flourish early on. Sweetness is a likable, rather poppy, progressively flavored track. Recorded on Top Gear with John Peel, January 12th, 1969, the original version of this track was never released on a standard Yes album, but, in fact, was released as the B-Side of the Sweet Dreams single. The song was reissued on the compilation album Yesterdays. Featuring some rather intriguing and unusual guitar work and creative vocal improvs, the intro to this really has a much different feel than the original. In fact, nearly the entire instrumental intro section here is not present on the Yesterdays version. The uniqueness of this version really makes this track one of the more interesting tracks on this album. A major reworking of a Beatles song, this track was recorded on Top Gear with John Peel on January 12th, 1969. Featuring an extended jam intro, which includes a couple bars of Day Tripper, the Yes version makes for a very interesting take on this tune. This version is really a guitar showcase in many ways and features much extended jamming not present in either of the other performances. The sound on both of these renditions is a bit more raw than the original, and really, that makes for a nice change of pace. Remaining quite true to the original version, this track, from the Dave Symonds Show, August 4th, 1969, showcases both the progressive and the mildly psychedelic leanings that the band had at the time. Originally broadcast on the Dave Lee Travis Show January 19th, 1970, this track starts with a slightly raw intro which is actually a nice break from the original. This piece is another which creates a synthesis of the `60`s stylings with the beginnings of progressive rock into what is basically a solid pop song. This rendition features a very lively guitar solo, which also separates it a bit from the original studio recording. Another track which was originally broadcast on the Dave Lee Travis Show January 19th, 1970, this rendition stays fairly true to the original. However, a shortened intro and some other small changes do bring this one in at over a minute shorter than the original Time And A Word version. This is a nicely accessible, yet quite progressive and energetic track. A cover of a Richie Havens song, this recording was originally a rare German broadcast for which the exact date is not given. The sound quality here is probably the worst of any song on this album, but it is still quite listenable. The instrumental break here is quite interesting, although it does suffer a bit from the inferior sound quality. Other than the obviously more barebones approach (no string section, etc. ), this cut is fairly close to the original rendition in terms of performance. This is a solid rock song with progressive rock leanings. Recorded live on the Sunday Show, March 17, 1970, this piece features a very brief announcement of the band, which leads me to believe that it would have been a better choice as the opener for this album. This is a solid, and quite faithful rendition of an energetic early progressive sort of song, and features some pleasantly jazzy guitar and bass interplay. In fact this track really showcases some of Banks` tastier guitar work. This version is quite a bit rougher than the other two versions, if taken side by side, but is still quite an entertaining rendition. This performance of Then was recorded live on the Sunday Show March 17, 1970, and contains a solid guitar solo. Another performance of this Beatles cover, Every Little Thing was also recorded live on the Sunday Show March 17, 1970. The intro to this version is even more interesting than the rendition on disc one, featuring an extended jazz guitar based jam. Eventually the intro drops into the same pattern as the other two renditions, but really contains quite a few little twists and variants(in fact, this performance clocks in almost an entire minute longer than either of the other versions). This is another standout track here, due mostly to the unique approach. Another track recorded live on the March 17, 1970 Sunday Show, this interpretation foregoes the distortion intro of the other rendition present on this album, jumping directly into the bluesy section of the tune. The recording quality here is lower than that of the version on disc one, but still is not bad really. Previously unreleased, and recorded live on the Sunday Show March 17, 1970, this track is wonderful. Essentially a new old Yes song, much of this piece reminds me a lot of Yes` version of America. Therefore it seems to be a bit ahead of it`s time. Although I love the work that Steve Howe has done with Yes, and the sound that he has brought to the band, this track really has me wondering what would have been had Peter Banks not left the band. This is a very superb progressive piece, albeit a bit rough edged at times, and features the "disillusion" section of The Yes Album`s Starship Trooper (with some slightly different lyrics). This cut is really a gem and, even by itself, would make this album a welcome addition to any Yes collection. Bonus Track-Originally broadcast on Johnny Walker June 14, 1969, this track begins with a spoken introduction, naming the members of the group, telling a tale of the history of the band, and describing the song. This one actually seems a bit better produced than the earlier version on the album, although that version was not poorly produced. In fact, it seems as if there are some pleasant nuances, rather down in the mix, that are either not present in the other rendition, or simply not audible due to the recording quality. Both this version and the early version have a more basic, underproduced feel to them than the original version of this song. This actually makes them a pleasant departure. Bonus Track-Another rendition of this track from West Side Story(this time from Top Gear with John Peel February 23rd, 1969), this performance differs little from either the earlier version on this CD or the Yesyears rendition. Bonus Track-This version of this song is also from Top Gear with John Peel February 23rd, 1969, and suffers from a rather annoying announcer blurb over the top of the intro to the piece. This rendition utilizes an intro much closer to the original, but the guitar solo here is even longer than the first version present on this CD, which was itself a departure from the original. Bonus Track- Originally a rare French broadcast for which the exact date is not given, the recording here is a bit lacking in sound quality, but not that bad. The performance is a bit rougher around the edges than the version present on Yes, but that is not necessarily a bad thing. All in all, this is a fairly faithful rendition of a solid early progressive rock and roller, with an instrumental break that differentiates itself a bit from the original. This interpretation is slightly abbreviated, although, it is really not noticeable unless you actually compare the times of the two renditions.